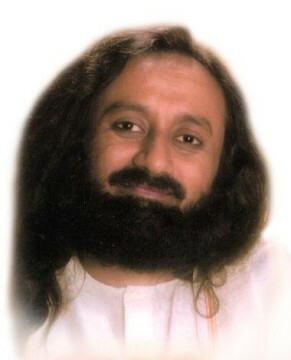 Gurudev, I have been a teacher for many years. I see in myself and other teachers that we don’t always practice the basic course points and it disturbs me to a point that I feel a bit of a fraud when I teach. What to do? It is good that you feel the pinch. That is the safety valve. If you are oblivious to your not following the teaching, then there is a problem. The moment you recognize that there are shortcomings in you then you are very safe. Don’t think that you are a fraud. You are a traveller on the path and you are guiding the people who are coming behind you. This will only bring humility in you and you will know that knowledge is precious. No doubt you may not follow it 100% but you cannot deny that your life has changed and you are following it at least 80%. So even if you are not following the course points or the knowledge a 100%, you look into the 80% of the points that you are following. There are people who have not even understood or started their journey. For them you can be a real help. One more thing, when you teach others, you also learn, so don’t say that I am a hypocrite. As you are teaching, you are also learning and you are refreshing the knowledge. Instead of sitting and blaming yourself and others, it is better you start teaching. Otherwise you will sit and blame yourself, 'I am weak, I am unable to follow the knowledge, I am bad', and then you go into guilt and self-blame. This is the worst thing that can happen to you on the spiritual path. That is why on this path, you always have a guru or a master. You leave your weakness to your master and go with the strength that you have and move as much as you can. So don’t be hard on yourself, and at the same time, recognize that you don’t follow all the knowledge but you have the intention to follow and that is good. So just move on. Don’t get off the path and blame yourself. If you feel that way, just come and sit in an advance course, or a blessing course and it will wash it all off, because this life is a journey and you have to keep moving till you find perfection. And slowly and steadily you will definitely get it. Just turn back and analyse. Suppose you had not followed any of the points in life, where would you have been? It will be utterly scary, that is why know this and walk ahead. Leave your shortcomings to me. Gurudev, many Gurus and saints have spoken about the need for a renaissance of India. It seems that with this new government the time may have come. What form should that renaissance take? Renaissance has already begun a few years back. People have woken up and it should continue with the same enthusiasm and speed that is necessary. For that the people in power have to be very careful, conscious and support this sort of renaissance and I am sure they will do it. At least many of them will. Gurudev, what sustains love? Why do I sometimes feel love and sometimes feel no love at all? Yes, love is also a gift, so when it comes, feel grateful and when it is not there, feel the longing for it, that is when prayer will arise out of you; poems will arise out of it. Poems come not only when there is love, but when longing is there, poems come, prayers will happen and many miracles can also happen, so enjoy them. 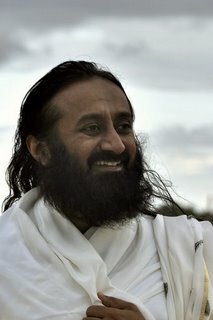 Gurudev, why are the Yezdis suffering so much? Were they the guards of Hitlers concentration camps at that time and is this their karma? Why should somebody be victimised for nothing? These questions have no answers because it is connected with something much bigger than our understanding. Instead of sitting and wondering why they are suffering, think of what we can do for them. You don’t need to come to the conclusion on why they are suffering, instead of that, let us see what we can do for them. In Kurdistan they have already collected 110 tons of food grains and supplies. We are arranging to get all the material airlifted to the people who are caught in the Sinjar mountains. There are 9500 of them there. So our Art of Living machinery is working. Anyone who wants to help them can contact IAHV. Let us see how we can help them. Let us create the awareness in people about their suffering. In the middle ages, this was the case with Parsis. They were chased out of Iran. They came in small boats and landed in Gujarat and that’s how they were given shelter by the Kings in India. The people of India were full of compassion and they allowed them to follow their own religion and keep their traditions alive. This has been an ancient tradition of India, i.e., to give protection to those whose existence was threatened. Similarly the Jews also came to India and they were given protection. Today Yezdis are in trouble and so The Art Of Living is going to help them to preserve themselves and come out of their trauma and current situation. Gurudev, is the relationship with the Guru eternal, that of many births? Are we with the same Guru over many lifetimes? Why don’t you want to finish your journey in one life? Why are you postponing? You are asking a very tricky question to trap me. This lifetime you do your job properly, don’t postpone it thinking that 'Next lifetime also I will get a chance'. Who knows what you will be next lifetime; maybe a cow in a cowshed. So don’t postpone to the next lifetime. I may not be available in the next lifetime. I may be in-between. You may have to take many births. Gurudev, getting love is painful and not getting it is even more painful, and maintaining love is also painful. So which pain should I choose? Choice is yours blessing is mine. If you want to choose pain, you are most welcome, but I will tell you, choose the bigger pain as the small ones are of no use. Your love for the whole humanity, that’s what you should be concerned about. Love for the planets, love for the animals; animal rights (animals do have a right to exist). We have no right to take their life away. You worry about all these things. Look into the eyes of the goats, or even the chicken, cows, dogs. Look into their eyes. This entire creation is filled with love, and how people can slaughter them to fill their little tummy. It is not even healthy. This is unfortunate. 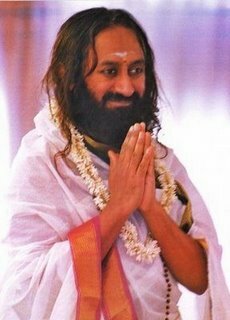 Gurudev, in the last five years the ashram has become like a fortress. It was easier in the older times to get peace in the ashram than now. Be in the present moment and listen to the knowledge. In earlier days, there may have been a few people. Today there are more people. When more people are there, there is more possibility for you to share your knowledge and wisdom and gain patience. You should also grow. You cannot get stuck to what you were 30 years back. 30 years back you could interact with 10 people. Today, you may have to interact with 1000 people. So we should expand as time passes and not shrink into shells. We have said, 'Vasudaiva Kutumbakam' (one world family). We have accepted the whole world as our family. Then you should rise up to that idea. Feel at home with anybody and everybody. Don’t just focus on what is comfortable for you and what is not comfortable. You should get out of your comfort zone and bring comfort to others. This is most important. See as to how many people are comfortable with you. You can do a survey about yourself and see how many people you make happy and comfortable? If you dislike people, you will find you are not friendly. As we expand, we become friendly with people of different natures and different parts of the world. Sometimes, we feeling comfortable with people of our own state or country or religion. Here you have to mix with everybody. We have people of different faiths all here, Hindus, Christians, Muslims, Sikhs. We have people from every state of India, right from the Northeast to Kerala, and right from Jammu to Tamil Nadu. We also have people from all over the world and everyone has their own mannerisms and food habits. So you need to learn and bring comfort to others. You have had enough peace, now it's better you give peace to others.